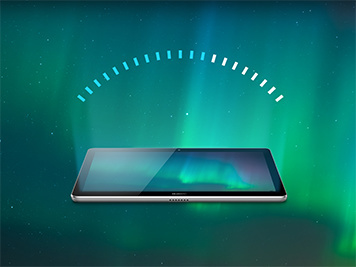 Stream, surf and socialise on a 9.6-inch screen that reduces eye strain with the Huawei MediaPad T3 10 – complete with smart app access and content control. 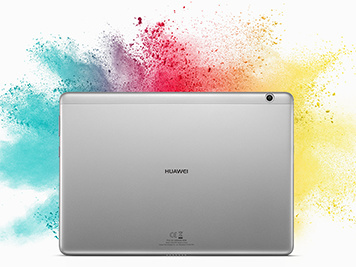 Feel the quality and brilliant design in your hands with the Huawei MediaPad T3 10. The modern, single-piece aluminium body and vibrant 9.6-inch display provide a solid, elegant look – and a vivid user experience. The special low-light and eye protection mode reduces strain on your eyes when using the MediaPad T3 10, and won't disturb your natural sleep pattern, so you can share, stream or swipe day or night. 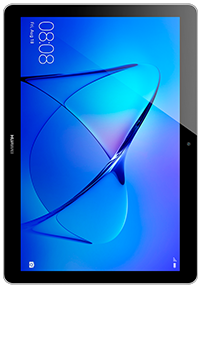 The Huawei MediaPad T3 10 is here to make your life easier. Enjoy easy access to your favourite apps for even longer, thanks to the custom Android operating system and long-lasting battery. 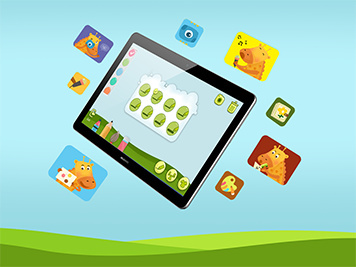 The smart app access and content control puts you in charge of how others can use your device. 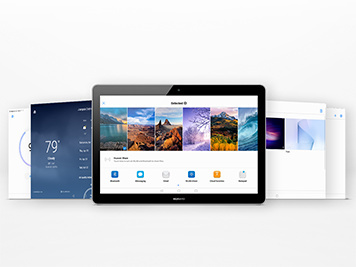 Choose how you want to share your MediaPad with family and friends – and even whether or not you want to be reached.